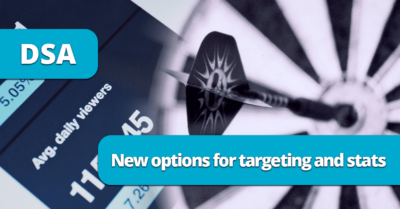 In this article, we will talk about PPC campaign automation in AdWords and show you some examples of using Target ROAS for product campaigns in BlueWinston. 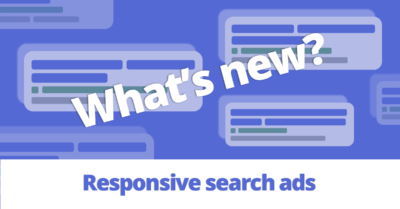 This year, Google is paying particular attention to automation and bidding strategy type Target ROAS, where it takes into account a number of data sources. With the automation is very closely related the topic of artificial intelligence – AI. On the basis of algorithms, AI is helping to automatize campaigns in AdWords. The system with regard to automated strategy adjusts the cost per click based on hundreds of factors in a single moment. The resulting cost per click is affected by user behavior and the likelihood that he/she would buy the product, of course, under conditions set up in the framework of the chosen bidding strategy. 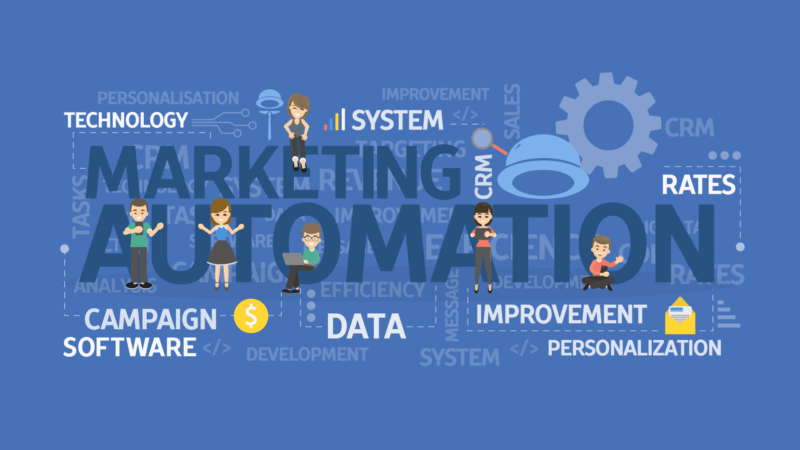 AdWords is gradually extending the implementation of automation. For example, AdWords Smart Bidding varies bids Real Time and takes into account 70 million unique variables for each auction, what would be impossible for the PPC specialist. The most important point for AI in AdWords is enough data. Therefore, it is very important to set up your campaigns well from the very beginning. The goal is that your campaigns obtain enough relevant data for their automatic optimization. It is a strategy that is the easiest to set up. There are only two conditions and those are the AdWords account set up to track conversions and choosing the strategy of enhanced cost per click. AdWords can increase the bid at auction by 30%, or reduce it by 100%. AdWords algorithms take into account the probability that the user reaches a conversion, based on which the cost per click can be raised. It is recommended to enable this strategy for each campaign, in which the conversions are tracked and measured. In the long-term use of this strategy, you may achieve better performance of your keywords, for example, in a broad match. 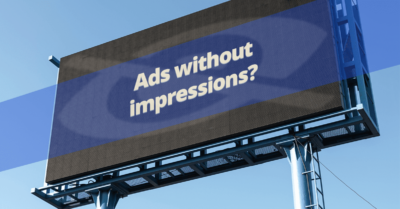 Of course, for automated strategies always applies that the more data (impressions, clicks) is in the campaign, the better the AI works and, therefore, the results are better. This is a bidding strategy tracking the cost per acquisition (CPA). 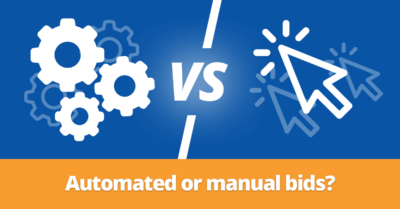 This automated bidding strategy aims at the greatest possible number of conversions for the specified maximal cost per conversion, which might be, for example, the product margin. To enable this campaign, AdWords requires the campaign has had at least 15 conversions in the last 30 days. This number of conversions might still be quite low for the campaign to work properly and, therefore, it is recommended for the campaign to have at least 50-70 conversions in the last 30 days, ideally, these conversions should be for the desired CPA. To make the system work at its best, the campaign setting should be kept the same for the last period, hence the budget, targeting, etc. should not be adjusted. You can use Target CPA in BlueWinston when you have in campaign at least 30 conversions in last 30 days. 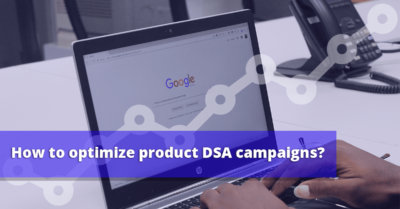 If the campaign works as it should, and we want to make it more efficient, we can gradually reduce the CPA, or gradually raise the daily budget, in order to reach as many conversions as possible for the given CPA. The goal of this strategy is to maximize the revenue from ads, so as to preserve the intended cost-benefit ratio. This strategy is fit for e-shops, where each conversion may have a different value and determination of a uniform CPA is not possible. The recommended steps are to put products with the same margin to one campaign and, therefore, we can determine the cost-benefit ratio. For example, in the case of a margin of 20% the ROAS is 5. Thus each invested €1 must generate 5-fold turnover. If less is generated, it is a waste. The strategy of targeting the ROAS requires measurement of conversions and achieving minimum of 50 conversions in the last 30 days, or, optimum more than 100 conversions in the last 30 days in the given campaign. Of course, the condition is not to change your campaign settings, so that the campaign will have consistent performance over the last 30 days. Fully automated bidding for campaigns with lots of ad groups. Each ad group can have dozens of keywords that cannot be manually optimized. Thanks to Target ROAS – Smart bidding from AdWords, your ads, ad groups or keywords will be managed based on the return on ad spend and compared with your turnover, i. e. profit thanks to margining. Worldwide it is rather wrongly referred to as “Dynamic Text Ads”. We at BlueWinston call it from the very beginning “Product Text Ads”, since DSA (Dynamic Search Ads) are only one of the 5 types of campaigns, thanks to which you can fully automatize the creation of your “Product Text Ads” through the www.BlueWinston.com tool. In few minutes can all these 5 types of campaigns be fully prepared and automated for your e-shop thanks to www.BlueWinston.com (an innovative product ads tool for Google AdWords). You will only need a standard XML product data feed that you most certainly already know. If not, feel free to reach out: support@bluewinston.com. The BlueWinston.com tool is now operating the function “SET & LET IT BE“. Within the settings of bidding strategy type you may choose from all standard types of advertising through Google AdWords, however, the use of Smart Bidding is subjected to a number of at least 50 conversions in the last 30 days in the given campaign. Therefore, we have developed the functionality monitoring the performance of campaign(s) and at the moment when the campaign meets the criteria for Smart Bidding, it switches automatically! To this day we successfully managed to fully automatize more than 1200 campaigns through accounts of our clients, where the percentage of conversion rate has significantly increased, while the CPA (Cost Per Acquisition) has dropped drastically. For product campaigns, for example, you can set up a strategy focusing on clicks and enhanced CPC. You may use this basic strategy until you reach enough conversions to run Smart Bidding called ROAS in your AdWords account with minimum 50 conversions in the last 30 days. Not enough conversions? How to optimize? The BlueWinston tool thought about that period as well. For the period, when you cannot run the full AI ROAS Smart Bidding in AdWords, you can set up targeting the maxCPA in BlueWinston. This value is dynamically calculated from the price of each product. This rule will exclude all search terms and set them as negative keywords if they have Spent more than 0.40 maxCPA and have NO Conversions. For product campaigns, we recommend using our automated rules that track many other metrics in addition to ROAS – Quality score, Low impression share, low CTR and High Bounce Rate.